VpCI®-414 is a water-based, biodegradable cleaner. Clings to ceilings and vertical surfaces in hard to reach areas. 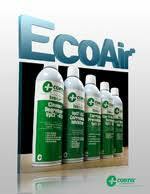 Application: Quickly removes dirt & grease on numerous metals while preventing further corrosion.